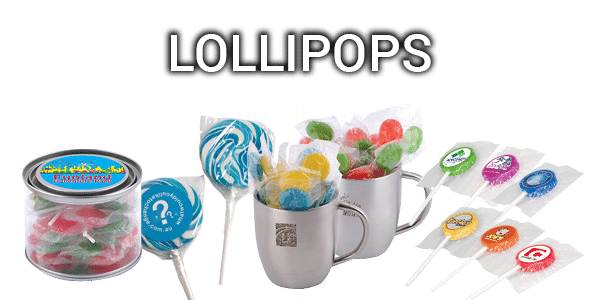 Promotional lollipops are a yummy treat for everyone! You can customise these products down to the last detail with full colour printing and much more! Whether there presented in a mug, jar, bottle can or even by themselves we have solutions for everyone! Who doesn’t love jelly beans? 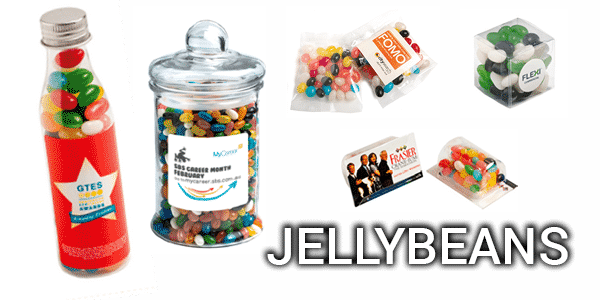 Our promotional jelly beans are a popular product with a wide range of flavours and colours. Available in bottles, jars, tins, pillow packs, ziplock bags, and many more, our wide range of pack sizes, configurations, colours & flavours there is something available for everyone. Who can resist chocolate? No-one! So make your customers do the same! 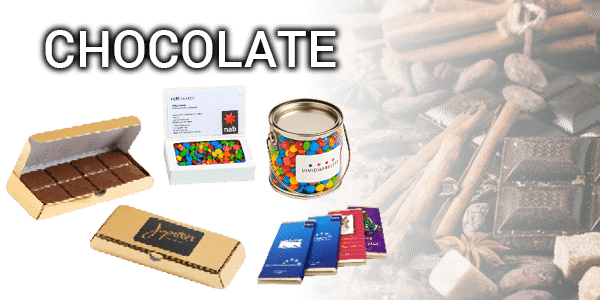 Our massive range of promotional chocolates will solve everyones needs. Ranging from M & Ms to Toblerone to chocolate bars we will surely have something to suit your marketing expectations. 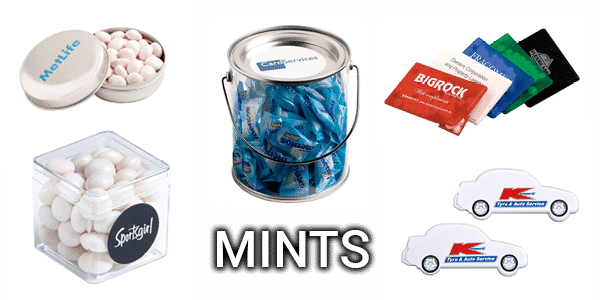 Our huge range of different mint styles and packaging options is bound to help you out with your next tradeshow event. From classic brands like Mentos through to generic mint cards which slip into your pocket or wallet like a credit card, one of the dozens of different tempting styles is certain to suit your requirements.